3740 S Ocean Boulevard is an oceanfront residence in the Toscana building located in Highland Beach. This unit is located in the South building of the property, which is the newest tower in Toscana. 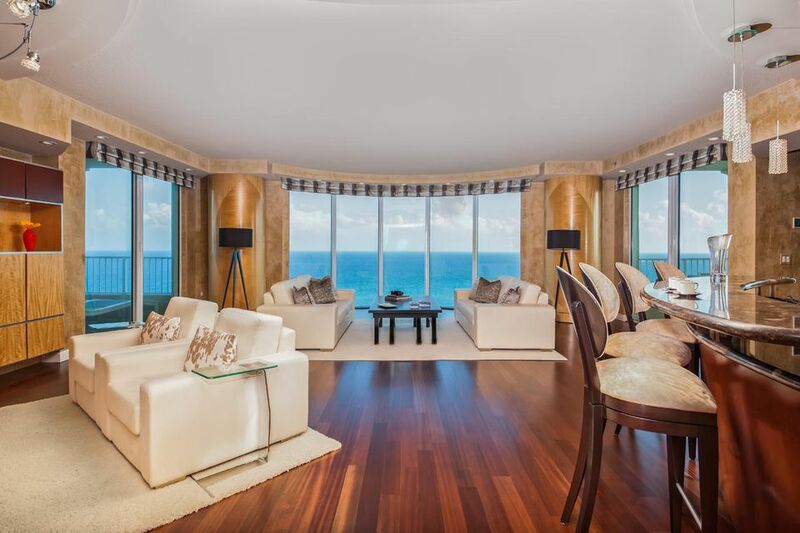 The condo has panoramic ocean views as well as city and Intracoastal views. The finishes of the home are extraordinary including the Della Casa kitchen imported from Italy, the cherry wood flooring, and the Venetian plaster walls. The building offers an oceanfront beach club pavilion, a concierge, security staff, fitness center, a lounge, card room, 3 swimming pools, and tennis courts. To get more information on 3740 S Ocean Boulevard #1101 here in Highland Beach, please contact one of our dedicated Distinct Estates agents who will be glad to show you homes in Toscana or in other parts of South Florida.